​What if I told you that you don’t need to feel embarrassed any more due to your painful bunions? It sounds pretty impossible, right? Tell me, how many times you have tried to hide your bunions in your footwear? Do you really wish to hide your bunions in sandals or any other footwear? 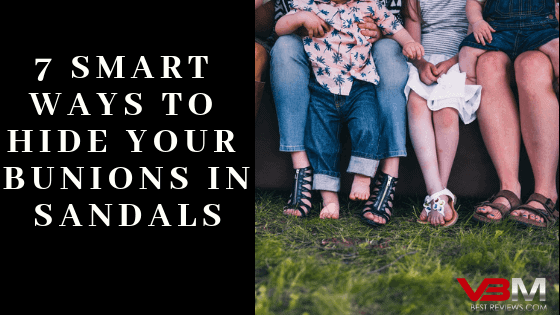 If you truly want to conceal them while wearing your sandals, then you certainly need few smart tricks at your disposal. And this is why I have written this guide to tell you about few tricks that I have learned in the last few months. Today, you will know 7 effective methods to conceal your uncomfortable bunions while wearing your favorite sandals for parties and for outdoor activities. ​This is a very easy method which is used by several actresses and celebrities. If you have red bunions and if you want to hide them or don’t want to make them stand out while walking outdoors, then try out this simple makeup method. This type of mineral corrector makeup foundation is generally used to hide or conceal skin blemishes, dark spots, and other skin imperfections. You can apply this foundation makeup with the provided brush on your red bunions. These concealers will help you to minimize the redness of your bunions. You just need to sweep the affected area gently with the help of a given brush. Just apply the foundation powder smoothly and create extra layer if needed. You can easily blend your bunions with the help of such types of mineral makeup foundations. 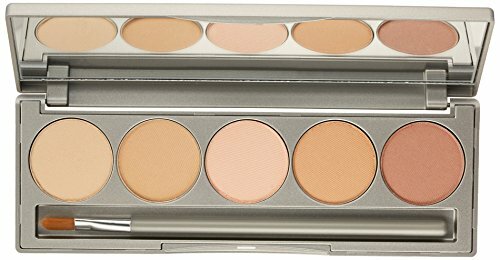 The best and the safest foundation that I can recommend to you is Colorscience Mineral Corrector Palette SPF 20. Bunion sleeves are also known as bunion gel pads or bunion cushions. These bunion sleeves often come with squishy gel pads. These gel pads are constructed on MTP joint where most of your bunions appear. They are easily stretchable and can accommodate any type of footwear you want to wear. 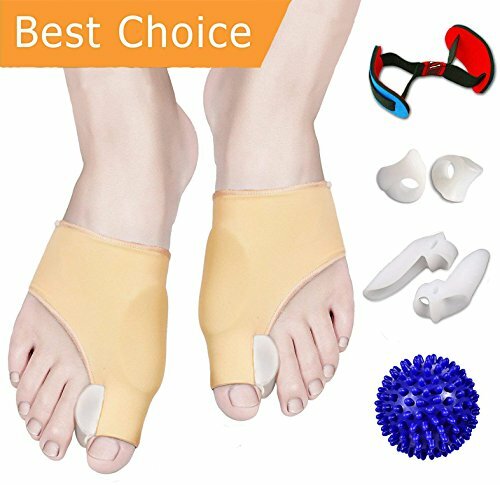 If you want to wear sandals, then these bunion sleeves are great option for your feet. They can help you conceal your bunions and can also provide great relief from your pain. The best bunion cushion that I recommend for this method is Dr. Frederick’ Original Bunion Sleeves. They fit perfectly for almost all foot sizes and they offer great shock absorption as well as cushioning for your feet. You can walk, run and play comfortably in your sandals once you wear these bunion sleeves. I recommend you to watch the following bunion care guide video where you will actually learn how to use these bunion sleeves and toe separators in the correct manner. ​Click Here to Get Dr. Frederick’s Bunion Sleeves. ​Bunion guards are great option for your feet if you want to conceal and safeguard your bunions. They also help in reducing friction of your bunion with your footwear. Thus, it leads to more comfortable and less painful experience when you use bunion guards along with your sandals or other footwear. When you wear this guard on your big toe bunion; automatically, you will be able to eliminate any friction, excess pressure and skin irritation. These problems are often caused due to constant rubbing of your footwear with the bunion. It also offers great shock absorption and it is often safe and infection free. These bunion guards are also great choice to safeguard your pinky toe “Bunionette” pain. If you are looking for some smart ways to prevent your pinky toe from rubbing your shoes, then check out these 16 tricks. I recommend to use the quality bunion guard for this method like NatraCure Gel Big Toe Bunion Guard. It comes with unique SmartGel technology. This Gel formula often includes vitamins, Shea butter, aloe vera and medical-grade mineral oils. This specific gel makes it safe to wear bunion guard on your bunions. Plus this particular NatraCure bunion guard is diabetic friendly and highly recommended by APMA (American Podiatric Medical Association). Click Here to Get NatraCure Gel Big Toe Bunion Guard Now. ​Another good remedy to hide your bunions is to wear good quality moleskin padding rolls. It is kind of a soft padding which is used to save your feet from shoe friction and skin irritation. These types of fabric padding rolls easily conform to your foot size and can be comfortably fit inside all types of sandals and shoes. You can wear them all day without getting them loose. The best padding roll that I can recommend to you is Dr. Scholl’s Moleskin Padding Rolls. You can cut it into any shape you want and then just stick them over your bunions. This is the easy way to conceal your bunions and also to aid in faster healing process. This adhesive roll stays in place for full day. So you can wear them wherever you go; may it be outdoor walking or to attend parties and family functions. Click Here to Get Dr. Scholl’s Moleskin Padding Rolls Today. ​Bunion splint pads are very useful in treating various foot disorders such as hammer toe, Hallux Valgus (bunions), and big toe joint deformities. These specially designed pads not only help you to hide your bunions but also aid you in healing your bunions faster. They are great in getting quick pain relief and in realigning your deformed toes. They are light, thin and highly flexible in nature. It is made from soft silicone and fits all types of foot sizes seamlessly. You can wear them comfortably even if you want to use sandals or shoes on top of that. The best bunion splint pad that I have seen is Vesigo Bunion Corrector and Bunion Relief Splint Pad. It is great in providing fast pain relief, comfort and also helps to disguise your bunions in sandals or any other footwear. 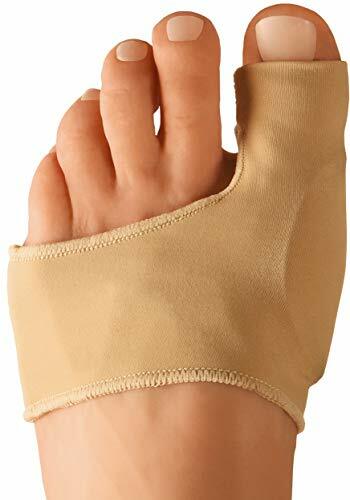 Click Here to Get Vesigo Bunion Corrector Splint Pad. ​This is another super effective method to safeguard and hide your bunions. There are simple, machine washable, specially designed socks available which suits people with bunions. These types of special socks come with separate cushioned toe. This immensely help in reducing unnecessary friction of your sandal or footwear with your bunion. These socks also create a comfortable space between your second toe and your big toe which is often affected with bunion. They also feature seamless toe closure that helps in eliminating the toe irritation caused by shoes. The ideal pair of socks which I recommend for this method is Sockwell Sport Ease Bunion Relief Socks. These socks are made from good combination of comfortable materials like merino wool, stretch nylon, spandex and Bamboo Rayon. These materials provide greater comfort and higher protection for your bunions. Two more advantages of these socks are their great arch support and ability to reduce your bunion abrasion. These are lightweight cushioned pads that help in eliminating the bunion abrasion. 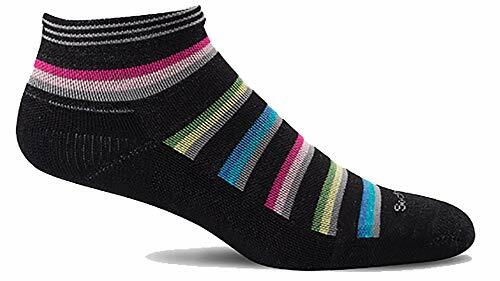 I believe by wearing these pairs of socks, you not only hide your bunions but also speed up the their healing and curing process. Click Here to Get a Pair of Sockwell Sport Ease Bunion Socks. ​And the last but not the least method to conceal your bunions is to use the good quality sandals for bunions. I suggest you to wear the sandals that can easily cover up your bunions. One such sandal for bunions that I can recommend for men is Orthofeet Clearwater Men’s Sandal. For women, I recommend to use Orthofeet Verona Women’s Sandal. These sandals are very useful in covering your entire big toe or small toe bunions. Plus, they offer highest comfort and protection for your feet. If you are looking for good orthotic support, then these sandals are ideal choice for your feet. Along with concealing your bunions, they do damn good job of providing higher anatomical arch and heel support. Their specially designed Ortho-Cushion System aids in getting proper foot cushioning and also helps in reducing joint stress and thus alleviates the bunion pain. To enhance the comfort and to further conceal your bunions, you can also wear high cushioned and comfortable Sockwell socks as mentioned above. These socks will hide your foot condition and also help you to heal your bunions quickly. 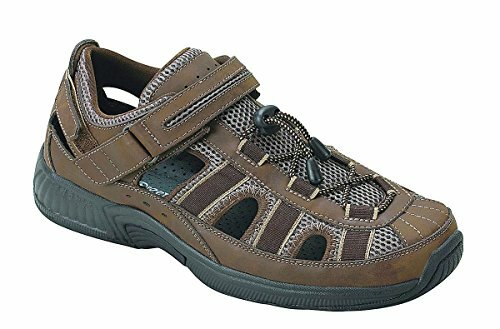 Click Here to Get Orthofeet Clearwater Men’s Sandal. Click Here to Get Orthofeet Verona Women’s Sandal. ​Concealing your bunions is not that hard if you are aware about the right methods. You can not use just any other unsafe methods that can ruin your foot condition further or escalate to more issues. Instead, you need to use the most sensible and safest ways that I have mentioned above. All the above methods not just help you in hiding your bunions but also aid you in healing them faster. I encourage you to try any one of the above methods and see the result for yourself. Best of luck.